“When you actually look at the question of what is a GLC or GLIC, you have to be very clear on the definition of what really is a GLC. “I was running the EPF and the point of view is that the EPF should not be a GLC. The source of funds of the EPF and PNB is actually the members’ money. It has nothing to do with the government,” Shahril (pic) said. The only true GLICs out there are Khazanah Nasional Bhd and Retirement Fund Inc (KWAP), as the money managed by these two entities are excess funds from the government. This is the view taken by Khazanah managing director Datuk Shahril Ridza Ridzuan (pic), who was formerly the CEO of EPF. “When you actually look at the question of what is a GLC or GLIC, you have to be very clear on the definition of what really is a GLC. “I was running the EPF and the point of view is that the EPF should not be a GLC. The source of funds of the EPF and PNB is actually the members’ money. It has nothing to do with the government,” he said at the Perdana Leadership Foundation CEO Forum. Shahril also stressed that not all companies that sat under Khazanah or KWAP should be GLCs, as there are companies that are held purely for investment purposes. “Which is why at Khazanah today, we’re very clear that Khazanah performs two functions – the commercial and strategic roles. “Our commercial role is similar to a lot of other funds in the world, and that’s really about moving assets for the country for the long term and acting as a diversifier for the national budget, providing returns that the government can rely on, away from the original taxation and source of income,” Shahril said. He added that the strategic role is where Khazanah worked with the government to own critical assets, which would then be used to develop technology or industries that are vital for the country and this is where the companies became GLCs. Companies such as IHH Healthcare Bhd, CIMB Group Holdings Bhd and Axiata Group Bhd are no longer GLCs and in Shahril’s opinion, should not have been GLCs in the first place because they are in industries that subject them to pure market pressure. “The role of GLCs in Khazanah is basically in regulated industries like Tenaga Nasional Bhd, Telekom Malaysia Bhd, PLUS Expressways to a certain extent, and Malaysia Airports Holdings Bhd, where there is a bit of interest using growth, regulation and ownership to derive a balanced outcome, as well as producing returns on those assets. “Actually, analysing that and being very clear about that, this whole idea that GLCs or the government is (crowding) the Malaysian economy actually goes away. “You should not define the entity by its ownership but by its role and when we actually look at that, the impact is much lower,” he said. EPF head of economics and capital markets department Nurhisham Hussein concurred, saying that there is a tendency to lump the companies together in a single group and that is a mistake. “It’s really from the view of maximising returns. However, there is also that subset of GLCs that are really critical towards economic development. “So, there is a need for greater transparency, governance and specific mandates that these companies need to focus on,” said Nurhisham. He added that there is a need to distinguish entities that have economic development and social purposes. 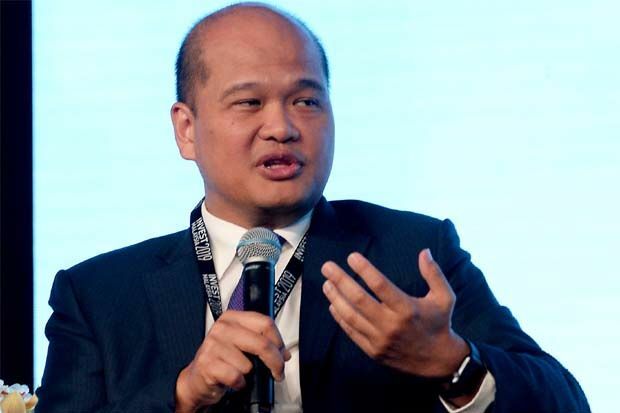 On whether Khazanah receives clarity from the government on the specific framework it should work on, Shahril said governance is of utmost importance and everything has to go through the board of directors. Even Prime Minister Tun Dr Mahathir Mohamad and Economic Affairs Minister Datuk Seri Mohamed Azmin Ali sit on the board. Meanwhile, speaking to reporters after the forum, Shahril said Khazanah is still awaiting a proposal from Malaysia Airlines Bhd (MAS) and hoped to submit it to the government before year-end. The national airline had accounted for around half of Khazanah’s impairments of RM7.3bil last year. Dr Mahathir had said late last month that it would seem as though the country could not afford MAS. The government is studying whether it should sell MAS, as the carrier is still suffering losses. Council of Eminent Persons chairman Tun Daim Zainuddin had said that several foreign companies, including from Europe, Asia and the Middle East, have expressed interest to acquire a stake in the airline.